Today I celebrate my one year anniversary in Korea!! Time flies, though at my age this might now start happening during both good times and bad. Now that I'm gearing up for my second trip around the sun from this part of the world, the inevitable comparisons with life 12 months ago crop up in my mind. Indeed, a lot has changed in the past year! I started a new job, made dozens of new friends and acquaintances, and even speak a little Korean (not enough to be fully conversational ... yet). Life here isn't quite as fresh and strange as it was when I started, but it remains far from familiar and I still learn new aspects of life and the culture here all of the time. Koreans like to ask me what I think about life in their country. I tell them that I like the people, I like the convenient lifestyle, I like Korean BBQ. But one thing I don't like is the weather. It is a mess. In winter, I wrote about how cold the weather was, almost as bad as where I grew up (Milwaukee, USA). Spring was okay, but relatively brief – just April and May more or less. By June, temps were already above 30C and the heat only gave way for the legendary Korean 장마 (jangma) ... rainy season!! July was an absolutely dreadful month to be here. Pretty much every day was overcast (I think I counted 3 sunny days) with a guaranteed chance of rain at some point in the day, if not a complete day of monsoon showers. Not carrying an umbrella was just taunting Mother Nature to unleash her moisture. Just about everyone I know here owns at least half-a-dozen umbrellas, the inevitable consequence of being caught outside on the one decent-looking day where just maybe you didn't think you needed to carry one...wrong!...and purchasing yet another rain contraption to add to your collection. Thankfully an umbrella can be found just about anywhere within a 1-block radius in Seoul (I did mention I like Korean convenience). And it was the longest Korean monsoon season on record this year – 49 days! – finally abating officially on Sunday. But once the clouds lifted the heat really cranked up in the city ... it's like a jungle now. Just walking to the bus stop yesterday morning caused me to break a sweat. We already had the hottest June on record in Seoul in 2013 and I'm wondering if August will be the same. Walking into the office isn't much better. Samsung is keeping its thermostats set to 28C this summer due to a power shortage (foreigners to Korean government: "Build some power plants!") and stepping into most conference rooms at Samsung now is comparable to entering a sauna. If the weather is anything like last year, more rain and typhoons (!) are just around the corner. But Korea is a land of extremes, so I guess the weather here just fits the national psyche. Emotional people, spicy food, brutish work and study schedules, the highest consumption of cigarettes and alcohol in Asia ... Koreans and their culture are like their weather. 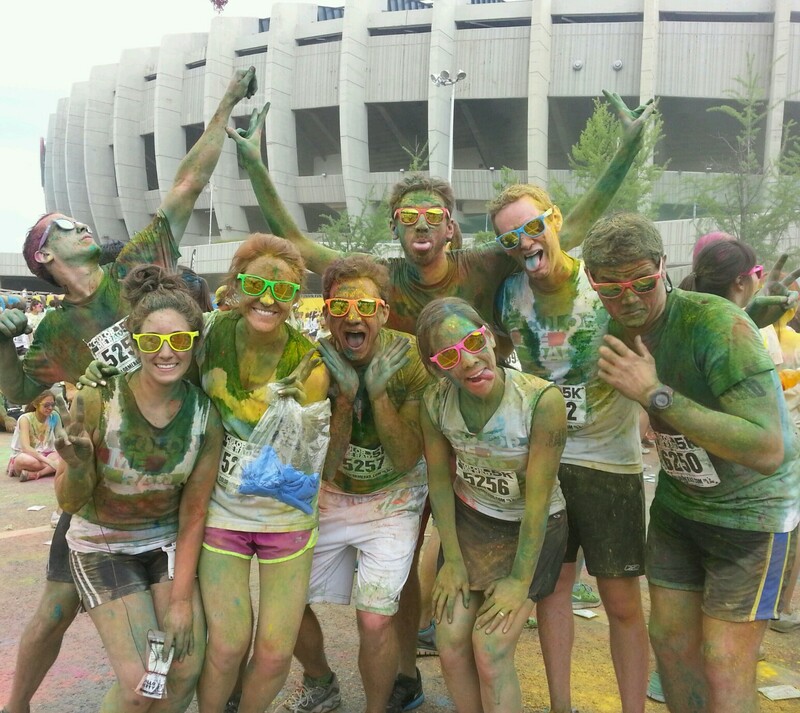 But thankfully, even during rainy season I was able to do some fun things here like go rafting in beautiful Gangwon Province and run the Color Me Rad 5K, a phenomenon that has crossed oceans! That said, I look forward to September ... and the day when I can again type in this blog without air conditioning.